The United States has announced it is closing its consulate in the Iraqi city of Basra and evacuating its diplomats from there after increasing threats and rocket fire from Iran and Iran-backed fighters. The decision adds to mounting tension between the US and Iran, which is the target of increasing economic sanctions imposed by Washington. US Secretary of State Mike Pompeo, explaining the move, renewed a warning that his country would hold Iran responsible for any attacks on US diplomatic facilities and citizens. The move follows recent rocket attacks that Pompeo said were directed at the consulate in Basra. US officials said the rockets, however, had not impacted the consulate, which is located in the Basra airport compound. “I have made clear that Iran should understand that the United States will respond promptly and appropriately to any such attacks,” Pompeo said in a statement. He did not explicitly say whether a US response was imminent, however, and other US officials did not disclose potential response options. The US State Department said the consulate was placed on “ordered departure,” which technically involves a drawdown in staff. Although some personnel could remain on the diplomatic compound, the move is believed to effectively close the consulate, at least temporarily. In a statement, Iraq’s foreign ministry said it “regrets the American decision to pull its staff out of Basra”. The decision came days after US President Donald Trump and Iranian President Hassan Rouhani exchanged taunts at the United Nations General Assembly, with Trump vowing more sanctions and accusing Iran’s leaders of sowing “chaos, death and destruction”. The rial has lost 40 percent of its value against the US dollar since April. Iran has blamed US sanctions for the currency’s fall, saying the measures amount to a “political, psychological and economic” war on Tehran. It also accused the US and Israel of involvement in a deadly attack at a military parade in southwestern Iran this month. Basra has already been rocked by violent protests seen by experts as a rejection of the Iraqi political establishment that has held on to power – with the support of the Washington and Tehran – despite failing to improve people’s lives there. 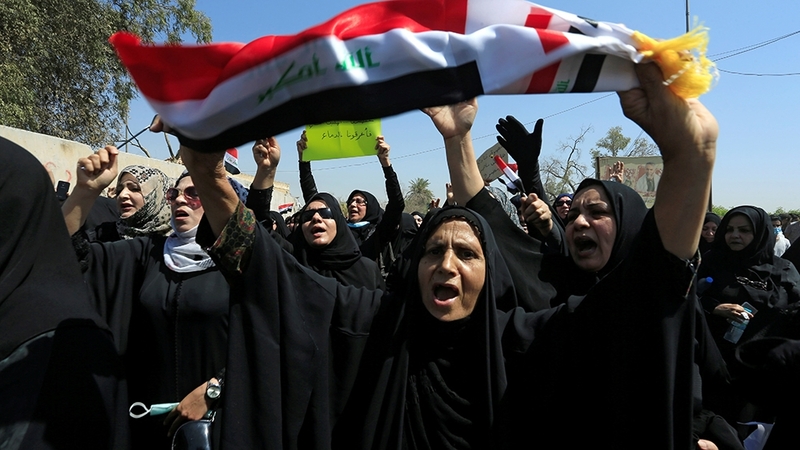 Protesters in Basra ransacked and torched Iraqi government buildings this month and the Iranian consulate was set alight by demonstrators shouting condemnation of what many see as Iran’s sway over Iraq’s affairs.